i am quite fond of Château Smith Haut Lafitte wines, so when i learned that outside bordeaux, in martillac, france, they had opened a spa, Les Sources de Caudalie, that overlooked the vineyard, i had to visit. this luvFIND, somehow, was continuosly postponed. in 1995, bertrand and mathilde thomas, the founders of Caudalie, met a doctor from the university of bordeaux, france, who was conducting clinical studies on the anti-aging properties of grapes and their vines. this research gave birth to the caudalie skin care line and to the spa Les Sources de Caudalie. the Caudalie skin care line uses patented formulas that are both effective and environmentally responsible. these products, with anti-oxidant and anti-aging properties, are an integral part of the spa rituals in their spas across the world. i finally made it to one of their spas, but not in martillac. 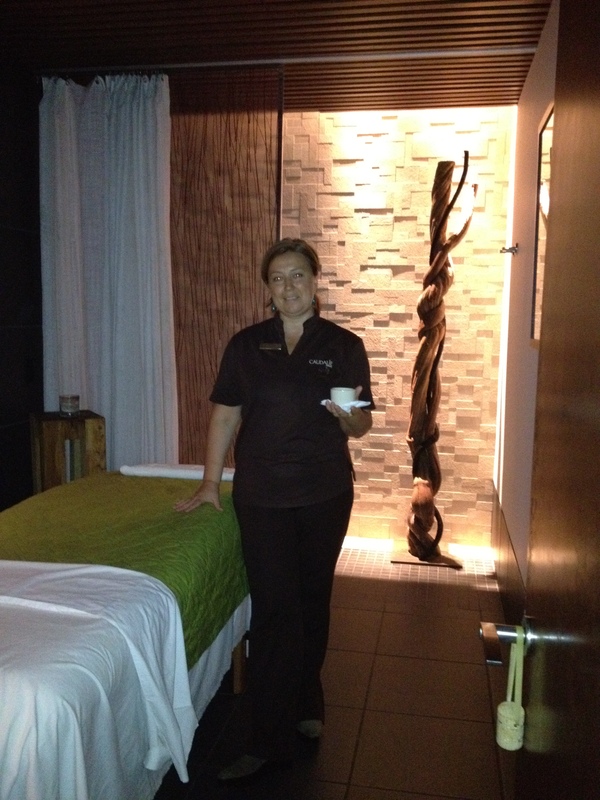 in 2006, Caudalie vinotherapie spa opened in new york city, and i have since become a regular client. this spa is a peaceful haven, where you can lavish and restore your body and mind, with any of the unique signature treatments. as a special treat, the restorative effects of the spa rituals can be extended at home with their skin care product line. these unique face and body treatments are truly gratifying. treating yourself to a Caudalie experience at home, or at one of their spas is for thebestdressup now! 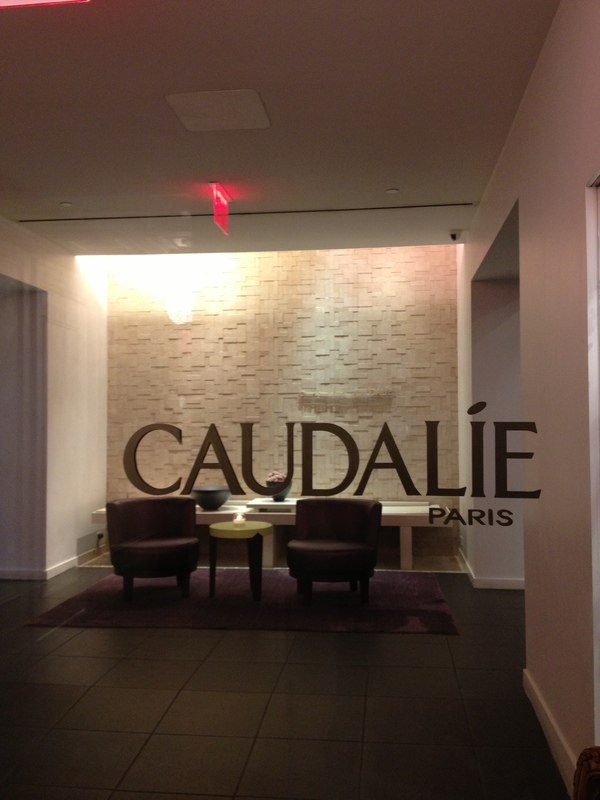 Caudalie, in new york, is the luvFAB spa for thebestdressup now! Caudalie products are effectual, but oksana keeps me coming back to the spa. she is the exceptional therapist that surpasses all your expectations. i am, with much gratitude, in her skilled hands. treatments with oksana are a luvMUST for thebestdressup now! after your treatment at the new york spa, you are invited in the relaxation lounge to enjoy a glass of their wonderful bordeaux, Château Smith Haut Lafitte. a toast to pampering is for thebestdressup now! This entry was posted in BEAUTY, luvFAB, luvFIND, luvMUST, TRAVEL, WINE and tagged BORDEAUX FRANCE, CAUDALIE, CAUDALIE VINOTHERAPIE SPA, CHATEAU SMITH HAUT LAFITTE, FACIAL, LES SOURCES DE CAUDALIE, MASSAGE, NEW YORK, SPA. Bookmark the permalink. 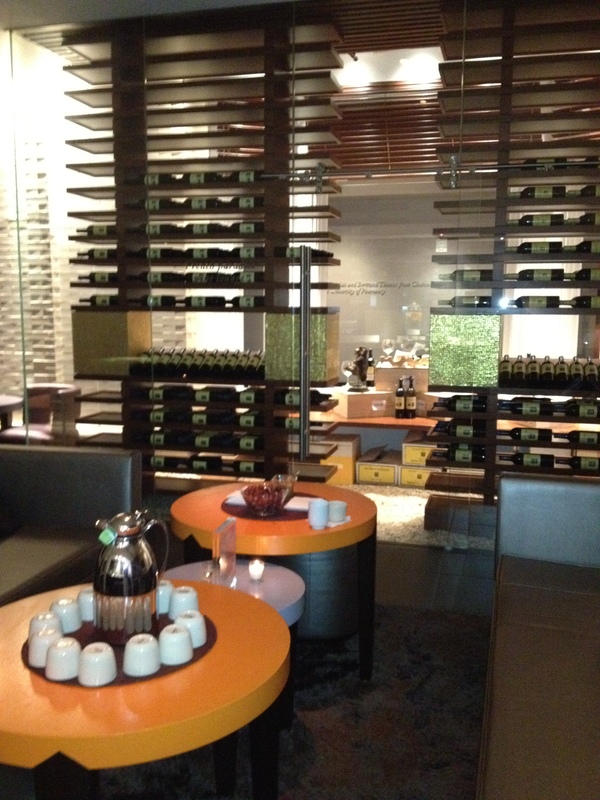 Did you try some of their wines there while regenerating energy at the spa? ciao! yes, i have had a glass of wine and on the other end of the ‘drink’ spectrum, caudalie offers an organic herbal tea that has red wine as an ingredient. it’s hard to leave this spa…a true luvFIND. I love their products and need to get to the NYC spa one of these days. ciao! as you know the products, the caudalie spa will be a luvFIND. I agree. The only way to go. You need to get your message around more. The more of this attitude around me the better. If luxary is what it takes then by god go get a piece of luxary. ciao! you are sweet…so glad i can extend an ‘attitude’ that is ‘better’. to be in the ‘best now’ in anywhere/everywhere is the aim of thebestdressup. it starts with a smile; a luxury for many…and anyone is thebestdressup now! Everybody needs a treat now and then. Life is full of fun, mystery, and just good times to be had. Stress is picking all of them today!!!!! ciao! 🙂 we are connected…you are thebestdressup now! ciao! heartfelt thanks for these two awards. A spa day would be wonderful! ciao! 🙂 pampering yourself is just great and at caudalie a luvFAB treat. I’m a huge fan of Caudalie products. The spa looks fabulous!